The workshop galleries are private and password-protected. The password is given to the parents of participants so they can look at and purchase the prints of their choice and size. If you are a past workshop participant and have misplaced the password and instructions, please contact us by e-mail and we will send it to you. 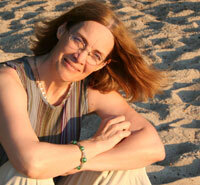 Grace Peirce is an award-winning book designer and Web designer. Many of her photos have been used on book covers and in travel magazines. She also creates promotional pieces for artists and other clients, including Flash animations for the Web, audio CD and DVD covers, as well as "head shots" and résumés for actors, musicians, and other starving artists. Grace also teaches a series of one-day workshops on the Adobe® Creative Suite and Print & Web design at the University of New Hampshire. She is available for private or group instruction at your home or business location. Your photos are wonderful! We have enjoyed the prints we purchased very much!